Half the weight and twice the strength of traditional industrial mats but without the bolts. 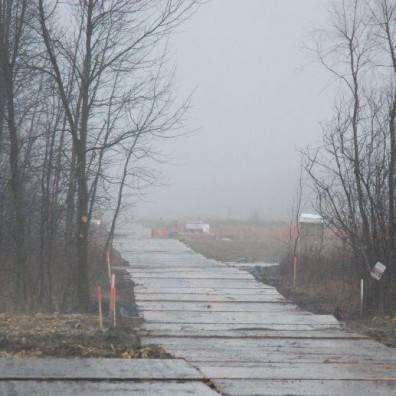 Structurlam’s revolutionary line of access, crane, and industrial rig mats are used for roads, platforms and other areas with sensitive terrain in the oil and gas, pipeline and transmission industries. Built with CrossLam CLT technology, these mats use structural adhesive rather than bolts and are built with a strong and solid surface to withstand the heaviest equipment. The solid top means no mud is absorbed and trip hazards are significantly reduced. The Cross Laminated Timber (CLT) engineering behind our mats results in a timber matting option that is lighter than traditional mats and able to endure thousands of pounds of abuse with no damage. Every shipment of our CLT mats saves you money. All lumber sourced from BC and Alberta. No cross border contaminants. 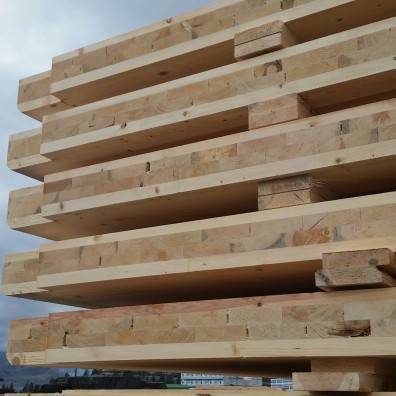 All inbound lumber is kiln dried and heat treated meaning no bugs of any kind. Solid surface makes it easy to clean on site (hydraulic broom or pressure wash). Structurlam's access mats offer an interlocking road system designed and manufactured with CrossLam CLT technology. 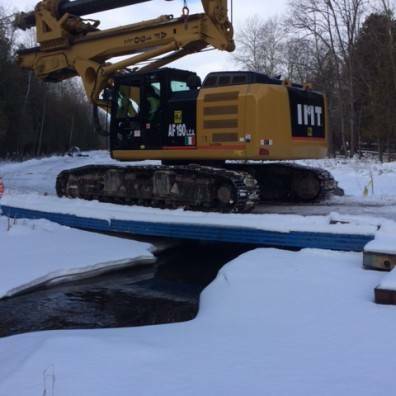 They provide a solid foundation for any rig or off-road site allowing your crew to access the site in any season. 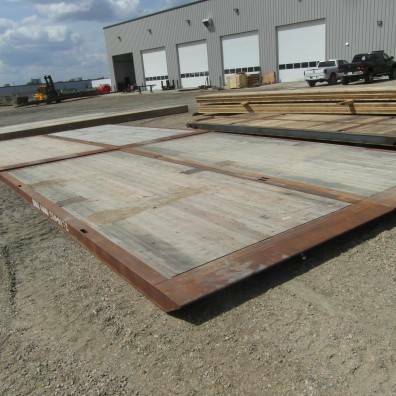 Structurlam's crane mats have double the square footage and lower handling costs than a truck load of traditional crane mats. They allow the crane to be driven right into position and moved around the construction site. This next generation of rig mats offer increases in strength and reduces the life-cycle cost of rig mats. They solve the challenges faced when moving walking rigs and ensuring safe working pads. Our rig mats are the only timber mats that can offer load ratings that are equal to the requirements of today’s drilling operations. Our temporary CrossLam® CLT bridge solutions are easy to set up and are engineered to withstand high weights and constant traffic.